Over my years as a blogger, I have been repeatedly asked to my opinion on the apparitions at Garbandal. This is no doubt because of my writings on other questionable apparitions, such as Medjugorje and Bayside. Garabandal is a quandary for many traditional minded Catholics. It lacks some of the excesses of Medjugorje (forty thousands plus messages, the charismatic stuff) as well as the absurdities of Bayside (T.V. 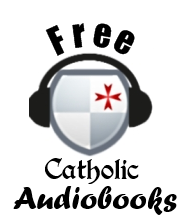 being an invention of the devil, Pope Paul VI being replaced by an "impostor", etc.). In addition, it promotes traditional morality, calls us to penance, promotes Eucharistic devotion, and its timing from 1961 to 1965 coupled with warnings of an imminent chastisement are very convenient to Catholics who see Vatican II as a fundamental rupture with Tradition. Its condemnation of the contemporary generation of bishops - the Conciliar generation - also plays into the hands of Traditionalists. It is not my intention to enter into a point-by-point critique of Garabandal, but rather to state my personal opinion on the matter. I do not believe the apparitions at Garabandal are legitimate, nor have I ever thought otherwise. Since I am not offering a refutation but merely stating my thoughts, it suffices to say that my gut has always turned me away from this apparition. Something about it does not seem right. I actually suspect the demonic may be involved. Mary's alleged request to not bring any blessed rosaries before her because she wanted to bless them herself has always given me caution. 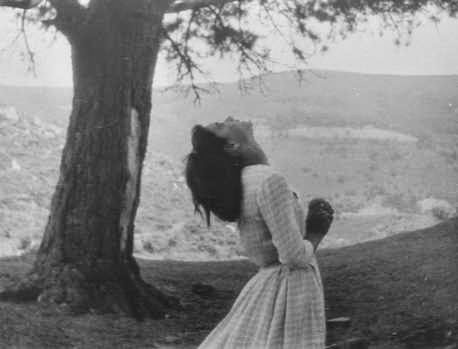 One last thing: According to Garabandal, the Blessed Virgin Mary has promised that she will one day restore the sight of the blind man Joey Lomangino. This is to happen on the same day as the promised "Great Miracle." Joey Lomangino is now 86 years old. If this man dies without having his sight restored to him, then this is absolute evidence of the falsity of these apparitions. The Garbandal people will probably try to wriggle out of it - say that the promise was of spiritual, not physical sight, or perhaps say that he recovered his sight secretly hours before death or something like that. But if we see that sort of mental legerdemain, it will be a pretty clear sign about Garabandal, though perhaps not the sort its enthusiasts were hoping for. For these reasons, and many more I will not go into here, I do not believe in the authenticity of the Garabandal apparitions nor do I endorse them in any way. 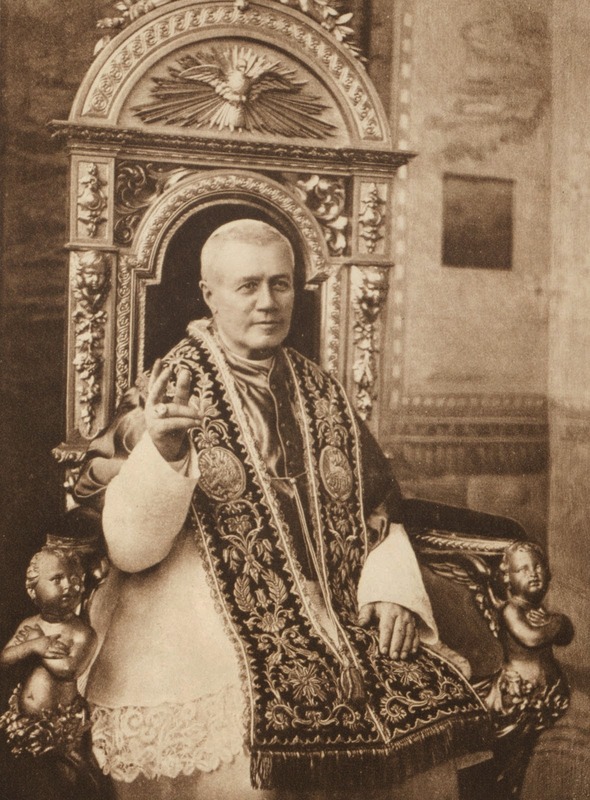 I have titled this post "Prayer to the Last Sainted Pope" because I realized that after this Saturday that title will no longer apply to the great Pope St. Pius X. Let us humbly invoke his intercession as we continue to move forward through this Valley of Tears. O glorious St. Pius X, hammer of modernists, humble shepherd of souls and pastor of the universal Church, last sainted pope, pray for us and for the Holy Catholic Church in this dire hour. Pray to the Lord for us, poor sinners, who have not fully appreciated your teachings and have rejected your counsels. We have seen your vision of where we are and where we are going and have shrunk back, preferring compromise with the world to the robust combat with the forces of evil that our Lord calls us to. 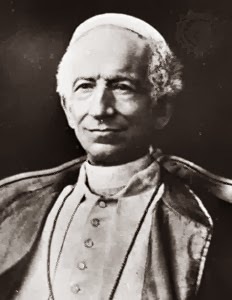 Intercede for your Church, that her pastors and princes will come to a profound realization of the truths enunciated in your great teachings Pascendi, Lamentabili Sane and the Oath Against Modernism. Pray that we will all see Modernism for what it is and understand what chaos it has already wrought in the Church and world. Through your glorious intercession, may God, in His mercy, avert His wrath from us and instead turn and heal us. Let our hearts be turned that we can repent; let our minds be flooded with light that we may reject the errors of our age. May God in His mercy say that our exile is at an end, that our cup has been drunk to the dregs, that debt has been paid in full. May we again value truth above all else, and reject the imprudent and false dichotomy that seeks to erode truth at the expense of a false tolerance. May our liturgies be ceremonies of reverent and humble of our Creator, our theology grounded in sound principles following the path laid out by the great St. Thomas. May our witness be bold and sure, our charity be fervent, and may souls flood into the Church. 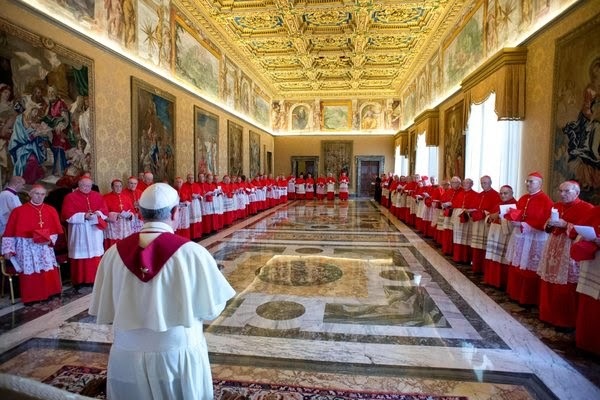 May our leaders in the Church and State be deeply moved by the vision you set for the Church, and may God, in His great mercy, lead us towards a true repentance and restoration of the Catholic Church. 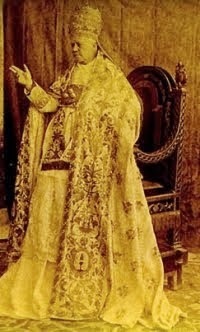 St. Pius X, last sainted pope, pray for us! May God have mercy on us. 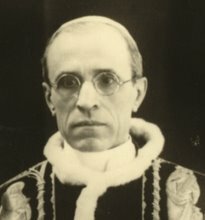 There has been much discussion as of late on the question of the relation between canonization and papal infallibility, encouraged by the recently published interview wherein the Italian historian Roberto de Mattei opined that John XXIII is not a Saint, and that this is an okay position for him to hold, because canonization is not something that can carry the charism of infallibility which the Pope possesses. Modestinus offers a sincere thought on the subject in his post, here. We here at USC have dealt with this question in depth before; however, since the conversation has now begun to devolve a bit in the blogosphere, we thought it would be good for a bit of clarity on the matter. Here, we find that the Pope exercises his own authority over the universal Church in declaring and defining that someone is a Saint. This meets all of the criterion for infallibility, except perhaps the question "is the fact that a particular person is in Heaven a matter of faith or morals?" "when we confess a certain member of the Church to be among the blessed, this belief is an extension of the confession of faith (Quodl. 9,16). If we can say in the Creed that we believe in the 'communion of saints', it necessarily follows that the Church must maintain some means for distinguishing who is among the saints that we believe in and confess. This is why the canonization of saints is bound up with the Church's infallibility; or, as Dr. Ott says, 'If the Church could err in her opinion [of canonized saints], consequences would arise which would be incompatible with the sanctity of the Church' (ibid)." The fact of the canonization of a Saint, then, is what is referred to as a "secondary object" of the Faith - one that is not dogma itself, but is intricately bound up with the divine revelation, and so to deny it would be to lead one toward the direction of denying an element of the Faith itself. So it seems, then, the declaration of Canonization does in fact follow the formula for the exercise of infallibility by the Pope, and we can therefore have assurance that whomever the Pope does in fact canonize (while following the formula for an infallible act) will in fact be a Saint in Heaven, and we should have rest in that certainty. By virtue of this fact, the second aspect of the person's canonization, that they are a person of heroic virtue who should be seen as a model for the faithful is not a question that is at all up for dispute. Simply because a Saint makes mistakes in his life, or even makes objectively wrong choices, has no bearing on the matter. A Saint is not a person who lived their whole life perfectly; but rather, a Saint is a person who, by the end of their earthly pilgrimage, demonstrated the fact that through God's grace they were able to attain to an eminent degree of perfection. For this reason they should be seen by all as a model for the faithful of heroic virtue, and the fact that they have been canonized dispels any doubt there might be in the matter. This is not to say that elements of the pontificates of John XXIII or John Paul II are not problematic; they certainly are. This is for history to assess. 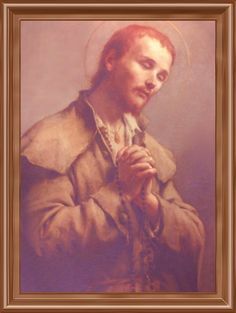 Because of the changes in the process and the manner in which these canonizations are proceeding, it has been the position of this blog that there is an unfortunate confusion in modern canonizations when it comes to saints who also held ecclesiastical office vis-a-vis the question of whether a saint who was personally holy but had significant failures in the exercise of their office should be considered a model of heroic virtue (see here and here). Without reopening that argument, it suffices to say that a saint must always be a role model for heroic virtue in so far as we are talking about their personal holiness, which is the fundamental reason for their canonization. 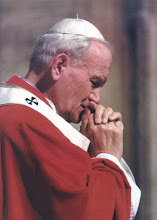 In the case of John Paul II, Cardinal Amato said very plainly that the canonization is based on the late pontiff's personal holiness, not how he administered his papacy or the impact he had in the world. We may not appreciate that distinction or think it is helpful, but at least in making this statement the Vatican has, in a certain sense, sorted out the question of whether John Paul's canonization means he was also a model pope. The answer is clearly no, and Cardinal Amato's answer thankfully allows us to maintain this point whilst simultaneously affirming the legitimacy of his canonization as a true exercise of the infallibility of the pope. If you are interested in reading in greater detail on the question of papal infallibility, Our long-time friend John Joy wrote his license thesis on this question in the book Cathedra Veritatis, defending his position masterfully, and we are privileged to have the book version available in our web store - please consider buying a copy and supporting his livelihood! Just read your article on Vatican II and antiquarianism. If this is the case and antiquitarianism is bad, then does that mean that the OF is not a valid Mass? I am a recent convert and am still sort of confused by this. 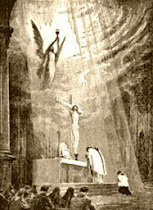 "The rite of the Mass is to be revised in such a way that the intrinsic nature and purpose of its several parts, as also the connection between them, may be more clearly manifested, and that devout and active participation by the faithful may be more easily achieved. For this purpose the rites are to be simplified, due care being taken to preserve their substance; elements which, with the passage of time, came to be duplicated, or were added with but little advantage, are now to be discarded; other elements which have suffered injury through accidents of history are now to be restored to the vigor which they had in the days of the holy Fathers, as may seem useful or necessary." 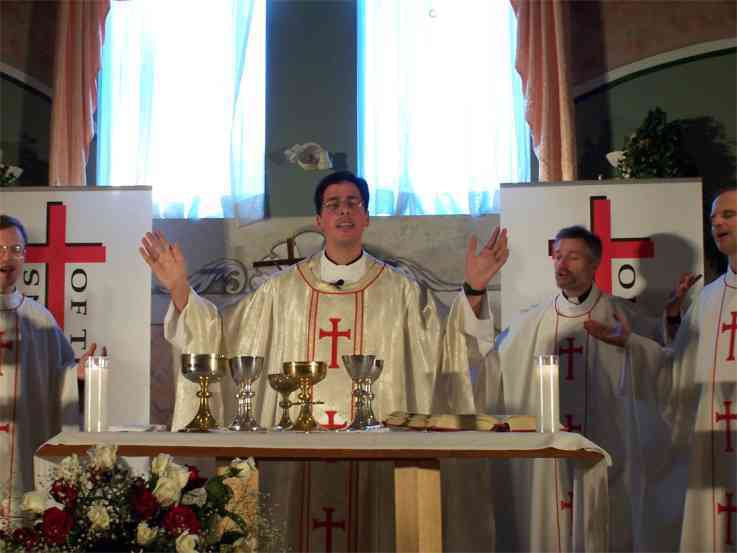 When the Novus Ordo was promulgated in 1969, we saw, for example, the reduction of the amount of times the Sign of the Cross was used, the elimination of the Last Gospel, prayers at the foot of the altar, etc. This elimination of rites stems from a view of the organic developments of the liturgy as accretions that are of "little advantage" to the faithful - like barnacles on a ship. A further evidence of the trend towards antiquarianism was the positive predilection for "ancient" prayers and disciplines in the reforms following the Council. For example, the promulgation of Eucharistic Prayer #2, which was supposed to be based on an ancient Jewish table blessing. In fact, the historicity of this prayer is questionable (see here). This is an example of how many of the things introduced after Vatican II that were supposed to be "restorations" of ancient practices were nothing other than modern interpretations of ancient practices. The modern catechumenate and RCIA process were predicated on ancient practices, as were communion in the hand, the permanent diaconate, and the national episcopal conferences, but in each case the modern application was entirely different than the ancient prototypes upon which they were allegedly based. 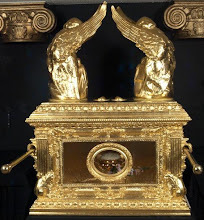 Archbishop Athanasius Schneider of Kazakhstan has written an excellent book on this phenomenon and how it relates to communion in the hand in his book Dominus Est: It is the Lord. So that there was a proclivity towards archaeologist interpretations of history in the Vatican II era is undeniable. That being said, the fact that archaeologism influenced some of those working at Vatican II does not invalidate the New Mass. 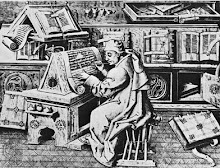 The influence of archaeologism in the minds of some of the Fathers who drafted the Novus Ordo does not mean that heretical elements per se have been introduced into the liturgy. This is because archaeologism, though extremely damaging, is not a heresy properly understood, but is more of a flawed approach to history - a fallacious historiographical trend within Catholic thinking. The fallacious thinking has led to the very disorders which Pius XII predicted, but here we are dealing with problems on a "macro" level - philosophical approaches to history, assumptions we bring to the study of liturgical tradition, and so on. The validity of a particular liturgy, on the other hand, is something usually considered on the "micro" level - what are the particular words being used in the rite, what is the form of the sacrament, is the minister doing what the Church intends to be done, etc. None of these particularities are effected by the fact that some of the Vatican II fathers harbored archaeologist assumptions. That is not to say that validity is all that matters; I have frequently argued on here that to view a Mass simply in terms of whether or not it is valid is horrendously reductionist. The validity of Holy Communion is not the only consideration. So, please do not mistake me as saying that the prevalence of archaeologist thinking at Vatican II is not problematic; it certainly is. But I would not say that this renders the Ordinary Form Mass invalid. A historiographical-philosophical assumption cannot invalidate the Mass, even if it is a damaging historical approach. If anything, it is simply an argument why the Extraordinary Form is more consonant with Catholic Tradition. So I guess there is a lot of controversy brewing over Robert Sungenis' documentary The Principle, which is apparently an apologia for a human-centered universe, including geocentric propositions. That is not the sole source of the controversy; it appears that Sungenis was a little deceptive in describing the purpose of the film to those who participated in it (scientists Lawrence Krauss, Michio Kaku, et al) - he even managed to hire Kate Mulgrew of Star Trek: Voyager fame to narrate the entire documentary while keeping from her its geocentric propositions! Now that the documentary is public, these individuals are all understandably upset that their names are being linked to promotion of geocentrism. Denials and repudiations are flying all across the web. So...whatever. I understand this sort of subterfuge is not uncommon in documentary film making. I personally do not care that Sungenis is a geocentrist. I was once talking with a good Catholic friend about this issue and we came to the conclusion that, if you dig deep enough, probably every person has some theory or hypothesis or conspiracy that they believe in that the wider world would think insane if they were to find out about. So, it's really neither here nor there to me that Sungenis believes in geocentrism. If this message is what he wants to be known for, he can go right ahead. I just don't care. What does grate on me a little is the resources he seems to pour into this single message. The Principle was not an inexpensive movie to make; I would assume he probably spent close to a million dollars on it. If I personally had a million dollars in disposable income and wanted to do something positive with it, I am not sure stressing geocentric cosmology would be the best use of those resources. The vehemence with which Sungenis has pushed geocentrism and the amount of money he has put into it almost suggests that he views geocentrism as the most important aspect of the Gospel. I'm not sure if this is accurate or not, but that's the impression I get - which is disturbing because most Catholics would strongly object that geocentrism is part of Divine Revelation at all; and even if it were, for the sake of argument, does its importance in the hierarchy of truths merit so much money, time and attention? If I had access to a million dollars to do some sort of evangelical apostolate, it certainly would not be on some peripheral point that is not even part of Catholic doctrine. If you live or have lived in the Diocese of Lansing, you know my pain. Faith Magazine. Oh, Faith Magazine. Why does it have to be this way? It could be so much better.